OTech: Will FHIR make the Electronic Health Record look like Facebook? bracket installation very easy installation this tv and no problem .Awesome post share I say thanks to share this impressive post.Keep it. 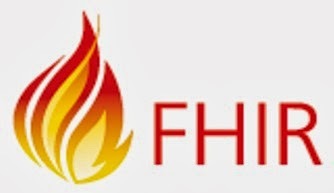 I can't believe that FHIR make the electronic health record look like Facebook. I have heard about it first time. If it is happen it will be great for human health and keep it up. This is a precious information and really a helpful post too. Thanks to share a useful information. There are some interesting aspects in your article and I learned lot of things, thank you. Water Conditioner Tabernacle NJ All Safewater is a private owned water treatment company serving Burlington County Our goal is to make sure your water is safe for you and your family to drink and bath in. We understand the crunch of rising costs and do our best to provide affordable systems while providing top quality. While there are bona fide organizations to purchase medical coverage from, ensure that you are not diverted by fake organizations. Check the resourcefulness of the organization in the matter of medical coverage - mark esteem matters in online health care coverage. The following suggestions can help anyone who's currently self-employed or intends to start a business in the near future identify health insurance options. Thus, you can easily cut out losses due to stress and sick employees, making a better business. Nonetheless, until you have gone to a Charlotte upper cervical chiropractor, don't think your exclusive make plans to this condition lies in traditional solution.